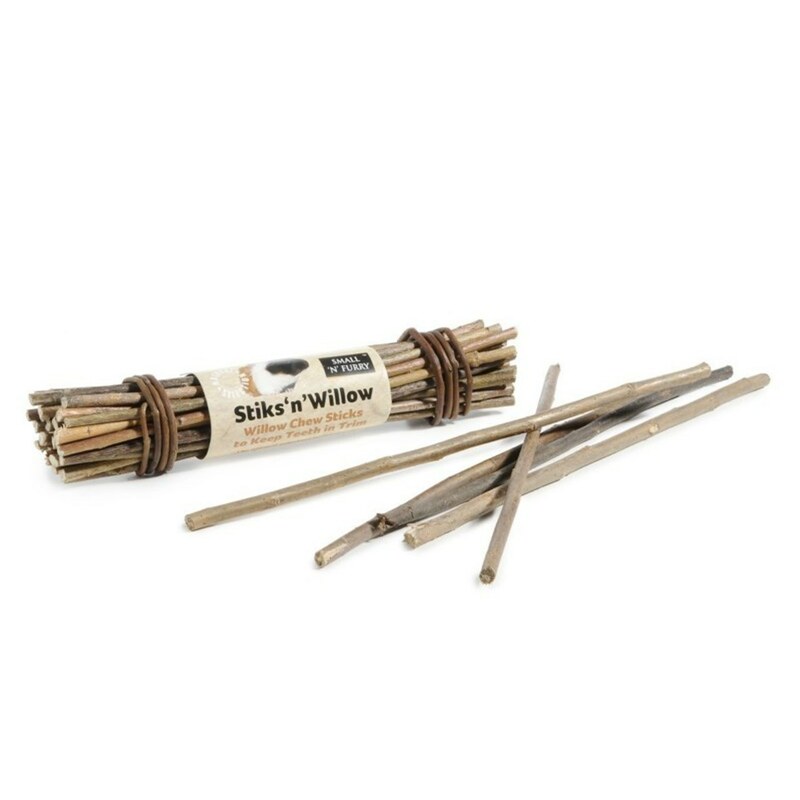 The Small 'N' Furry Stiks 'n' Willow are totally natural, edible sticks that your small pet can chew on to help clean and trim their teeth. Helps to relieve boredom too. Below are some recent questions we've received regarding Small 'N' Furry Stiks 'n' Willow for Small Animals, including answers from our team. In a way this is like any other healthy treat. Some individuals take to them, some do not. It is difficult to predict but we believe that many rabbits and guinea pigs do take to them, partly depending on what else they have available.